Argentina has made far greater progress in terms of gender equality in the past decade than most of its neighbors. The South American country boasts a strong commitment to equal rights for both genders under law, has elected a female president, Cristina Fernández de Kirchner, and currently has more women than men attending the country’s universities. Despite this progress, gender violence is becoming an increasing problem in the country. The escalation of gender violence attacks and cases of femicide— the homicide directed against a woman directly motivated by gender—have awakened Argentina’s citizens to the point where changes are now being demanded. On June 3, an estimated 300,000-500,000 protestors marched the streets of Buenos Aires carrying signs with the motto “Ni una menos” (“Not one more”), protesting the femicide and violence in their country. In the aftermath of a series of brutal killings, Argentina’s gender violence is finally being illuminated. Public figures joined the march and protested alongside other citizens, including Florencio Randazzo (Minister of the Interior and Transport) and Augustín Rossi (Minister of Defense). Dulce Granados, a deputy in the National Assembly and the wife of the Buenos Aires Province Minister of Security, marched surrounded by signs brandishing her own name. Argentine celebrities such as designer Roberto Piazza, actresses Andrea Bonelli and Alejandra Darín, and actors Gonzalo Heredia and Arturo Bonín also joined in the ranks. In addition to the onsite protestors, Argentine soccer star Lionel Messi and President Kirchner showed their support on social media. Messi posted on Facebook, “Stop femicide. From Barcelona we join today all Argentines #NiUnaMenos to shout out loud,” while Kirchner tweeted in support of the protest. Argentina’s protest condemning gender violence also extended far beyond the country’s capital, as did the Twitter campaign. Outside the borders of Buenos Aires, massive protests took place in more than 70 cities in Argentina. Social media spread word of “Ni Una Menos” rapidly. On June 4, protests against femicide and gender violence took place in Chile, Uruguay, Mexico, and Miami. Femicide is viewed as the most extreme violence by a man in order to exert dominance, control, or assumed ownership of a woman. Femicides are classified into three categories: intimate, non-intimate, and linked. Intimate femicides refer to when the male assassin is intimate or familiar with the female victim; non-intimate femicides refer to when the male assassin has no relationship with the female victim; and linked femicides refer to when women or children murdered in the line of fire of a man’s attempt to murder a woman. In 2012, Kirchner amended her National Plan of Action for the Prevention and Eradication Assistance of Violence Against Women to include lifetime imprisonment for femicide. This amendment was added to the 2008 law, which establishes penalties for domestic violence, in hopes of decreasing the rapid increase in femicides in Argentina. However, the law has yet to come into full force, and perhaps as a result, the number of femicides in the country continues to grow. In 2008, Kirchner’s second year of her first term, one femicide was committed every 40 hours. 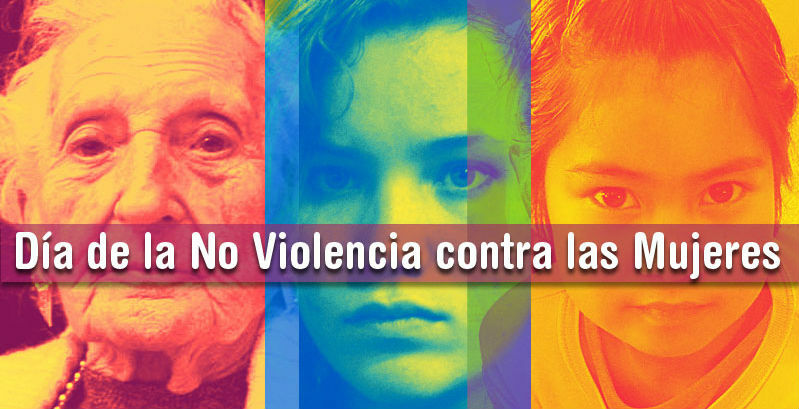 As of 2014, one femicide takes place every 30 hours, culminating in a total of 277 femicides that year. Unlike Argentina, many countries in Latin America have implemented strong laws against femicide. Rousseff’s administration recently implemented a zero-tolerance law including femicide, known as the Maria da Penha law. Ecuadorian law punishes perpetrators of femicide with up to 26 years in prison, while Costa Rica’s law gives criminals up to 35 years. Femicide rates have decreased in each country since strict laws have been passed. Having seen the results, Uruguay is preparing its own femicide criminalization bill. The United States does not officially track femicides. In fact, the U.S. has yet to accept the term ‘femicide,’ instead referring to gender-related deaths as female homicides. The Bureau of Justice Statistics reported that in 2007, 64 percent of women murdered in the United States were the victims of domestic violence. Statistics on U.S. female homicides mostly center on domestic violence as opposed to gender violence. According to the Center for American Progress, between 2001 and 2012, 6,410 women in the United States were murdered by their intimate partner by involving the use of a gun. Anti-gun supporters have linked domestic violence fatalities to the access of guns in the homes. The gun-control advocacy nonprofit Violence Policy Center estimated that 1,706 U.S. women were killed by men in 2012 alone. In addition, unlike Argentina and other Latin American countries, the United States does not have specific legislation that criminalizes femicide. Lewd comments, commonly known as cat-calls, are extremely common in the streets in Argentina and are a major contributor to gender violence in the country. Piropos, the Argentinian term for this form of sexual harassment, are rude, sexual comments made from men towards women as they walk down the street. On April 2, Buenos Aires native Aixa Rizzo posted a YouTube video explaining her most recent sexual harassment in the form of piropos. Within two months, the video went viral, having gained over 500,000 views to date. The 20-year-old reported that for one month, each time she walked out of her apartment building, she would receive sexually pejorative comments from electricians working on a project on her street. The remarks escalated quickly, starting as under the breath whispers, transitioning to whistles and applause, then to sexual fantasies, until one day three men followed her down the street saying “Where should we take her?” In defense, Rizzo turned around and sprayed the men with pepper spray. In the video, Rizzo adds how she went to the police to file a report, but was told that the men had not committed a crime; the men could only be charged if they had touched her. President Kirchner, however, has taken a strong stand against piropos, referring to them as vile and linking them with the high incidence of femicide in Argentina over Twitter last week. In addition, Congresswoman Victoria Donda has proposed a bill to punish sexual harassment in public areas. In reference to sexual street harassment, Donda stated, “Lewd comments are just the tip of the iceberg that manifests itself in domestic violence.” If approved, the Donda Bill will be the second South American piece of legislation against sexual harassment and lewd comments. On March 26, Peru enacted a law to prevent and punish sexual harassment with penalties of up to 12 years in prison. The Donda Bill will be similar in nature. The contents of the bill ensure that perpetrators could be fined up to $775 USD and proposes that an annual “National Week against Street Harassment” be initiated. In addition, the bill will fund school and workplace programs to raise awareness and educate both boys and girls on sexual abuse and harassment. Newfound attention toward femicides and sexual harassment has highlighted the cultural disparities that Argentina faces in terms of gender violence. Argentine women have been speaking up, and the legislature is finally beginning to listen. Through education and changing cultural norms, gender equality in Argentina could progress even further than it has in recent weeks. Featured Photo: International Day of No-Violence Against Women in Buenos Aires. From: Administración Nacional de la Seguridad Social.